THE HAGUE - The Dutch Government will assist St. Maarten with reconstruction after Hurricane Irma, but not without preconditions. The Dutch Government will assist St. Maarten with reconstruction after Hurricane Irma, but not without preconditions. 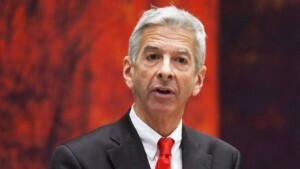 The reconstruction fund, which will be included in the Dutch budget, will work with clear objectives and must be efficient, effective and, very important, controllable, Dutch caretaker Minister of Home Affairs and Kingdom Relations Roland Plasterk said on Thursday in a general debate with the Permanent Committee for Kingdom Relations of the Second Chamber of the Dutch Parliament. On the agenda was the policy evaluation of the effects of the financial support the Dutch Government has given for (past) development programmes in the Dutch Caribbean from October 2010 to 2015. The Dutch Government no longer provides budgetary support for development programmes, but the topic has become highly current again with the Netherlands about to engage in a large-scale reconstruction programme for St. Maarten, St. Eustatius and Saba. The findings of the evaluation of the cooperation programmes, carried out in the past years by the Development Foundation Netherlands Antilles SONA, the Antillean Co-funding Organisation AMFO and the Aruba Development Fund FDA, have become current with the reconstruction programme being developed after Hurricanes Irma and Maria. “How can we put what we have learned from the past to good use with the reconstruction projects?” asked Member of Parliament (MP) Joba van den Berg of the Christian Democratic Party CDA. She said it was important to use the financial means in an effective manner and the funds should be made available only under strict conditions. MP Antje Diertens of the Democratic Party D66 said it was important to start off the reconstruction programme with clear, realistic objectives. Plasterk said the details of establishing the reconstruction fund were still being discussed with the St. Maarten Government and he could not provide any specifics about the amounts or the legal set-up. The Kingdom Council of Ministers will take a decision on the reconstruction fund in a week or two. However, one thing is already clear: the Netherlands will be closely involved. “We will not allow this fund to be constructed in such a way that we remain on the outskirts, even if the best available persons are placed in it,” Plasterk said. Referring to the Windward Islands reconstruction fund as the “pink elephant in the room,” he assured the Second Chamber that this extensive programme would be “carried out in a different manner” than the previous cooperation programmes under SONA, AMFO and the FDA. “The programme will be efficient, effective and controllable,” he said. Plasterk confirmed that there would be “explicit secondary conditions” to the fund which he plans to include in the Dutch budget. Payments will most likely take place in instalments whereby there will be an evaluation of the previous tranche before the next tranche. “In the long run that is in the interest of the people. It is in everyone’s best interest that solid conditions are applied,” he said. International willingness to assist St. Maarten might cease if there are doubts about the spending of the money. “The mood will instantly change about support for St. Maarten if one cent ends up in the wrong place,” he said. MP André Bosman of the liberal democratic VVD party agreed that checks and balances were vital. “We are at the crossroads of an extensive assistance operation. These are crucial times. It is important that the money ends up in the right place and that all guarantees are built in,” he said. Diertens used the words “respect, trust and equal partnership” in the relations with the islands. She said the knowhow and expertise that exists on the islands should be utilised where possible. Van den Berg asked for intermediate updates to the Second Chamber during the execution of the Windward Islands reconstruction fund. She said she did not want to be confronted with surprises a year after large sums of money had already been spent. Bosman warned against calling the Second Chamber together for every decision, as this would create too much of a hassle and slow down efficient execution of the programme. Plasterk promised to keep the Second Chamber informed. The preconditions set by the Netherlands have met criticism in the St. Maarten Parliament. Some MPs said during a debate on Monday that they wanted no strings attached to the reconstruction assistance and wanted to keep matters in their own hands. Thursday’s debate in the Second Chamber reconfirmed that The Hague will have none of that.